Walmart apparently wants everyone of all ages to be “super lucky” for St. Patrick’s Day this year, and by super lucky they mean stoned. Online Walmart shoppers were shocked to find a hooded sweatshirt available for purchase on the retail-giant’s website which depicted three different types of leaves, one of which belonging to the cannabis plant. Advertised as a St. Patrick’s Day theme, the hoodie, which was available only in kids sizes, displayed the word “normal” under a three-leaf clover, the word “lucky” below a four-leaf clover, and the words “super lucky” assigned to the cannabis leaf. All three leaves are displayed in line next to one another. In Walmart’s defense, the product seems to actually have been uploaded by a third party retailer based in Canada, where cannabis is federally legal. Also, like many online clothing retailers, it is likely that the design is photoshopped onto the youth sized sweatshirt to show potential buyers what they would receive. No children were harmed in the making of this product page. As soon as Walmart representatives were notified about the item, it was removed from the website. 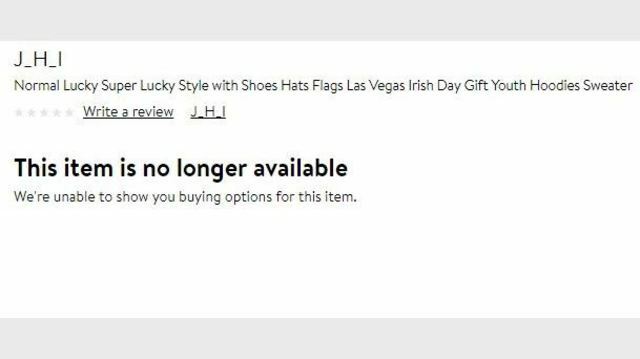 “This isn’t an item sold on Walmart.com and we will alert the IT team to remove the image and/or page immediately,” a Walmart.com supervisor said. The url still exists on walmart.com, but the page is now empty. Super lucky for us, it was not taken down before some shoppers snagged screenshots of the item. While Walmart pharmacies may not be distributing medical cannabis just yet, the company did make a deal with the American Cannabis Company out of Denver, CO in March of 2018 to sell a couple of their cultivation products online. The products selected are designed specifically for cannabis cultivation and can be purchased on Walmart.com. The two ancillary cannabis-industry items sold by Walmart are SoHum Living Soils and Dr. Marijane Root Probiotic. American Cannabis Company products are also available through Amazon and Home Depot.